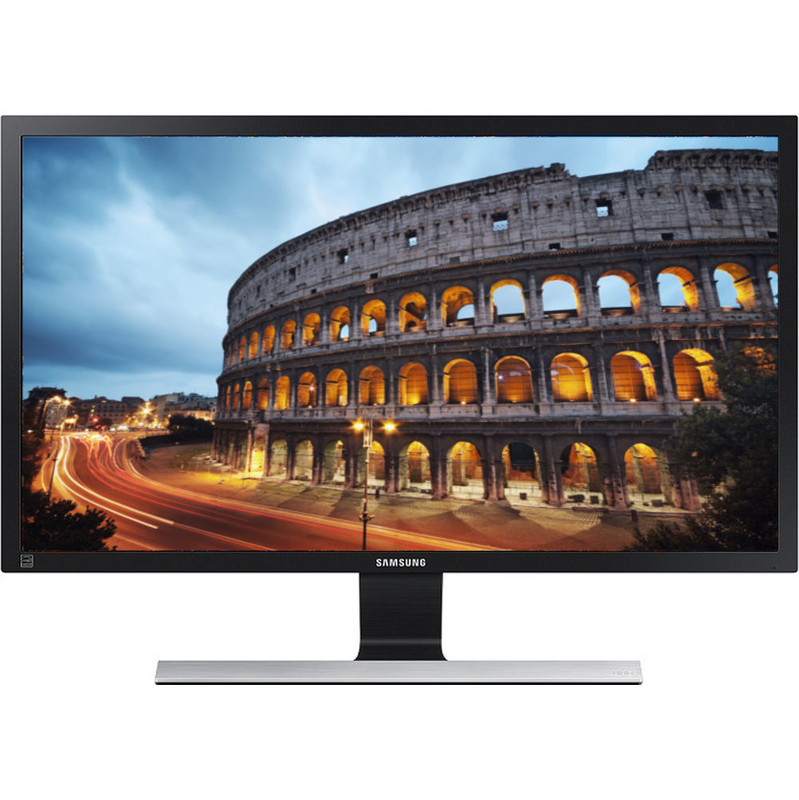 The Samsung LU28E590DS Ultra HD 4k 28" LED Monitor offers beautiful picture quality with incredible naturalism and detail to make everything from PC applications to games and movies look truly stunning. Whether you're into gaming or simply want the best possible picture quality for your work and entertainment applications, the Samsung LU28E590DS delivers an amazing nine million pixels to deliver all your content at up to four times the resolution of Full HD. You'll be able to see 4K content in its full glory, becoming even more immersed with unprecedented levels of realism and detail. The display boasts 64 times more colours than standard monitors and a high 370 cd/m² brightness level for breathtaking clarity and vividness. Even fast onscreen action will be accurately rendered thanks to a 1 ms response time that counteracts motion blur, judder and ghosting.